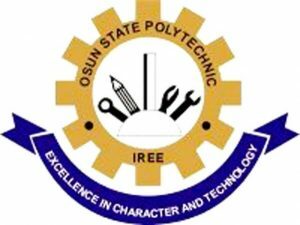 Osun State Polytechnic, Iree is one of the top 10 Polytechnics in Nigeria. The institution was established by Osun State act of parliament on 12th October 1992. The focus of the institution is to provide enabling environment for the teaming youths to acquire skills that will promote technological development. .To develop highly motivated, disciplined and trained workforceTo produce graduates with entrepreneurial, vocational and technical skills for national and global development. 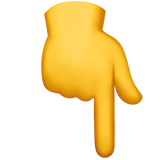 To acquire and use modern technological infrastructures. To provide opportunities to our students to develop leadership skills. To be a 21st century technology institution by providing quality programs for the advancement of research on local contents and cutting edge technology through innovations that enhance self reliance. To secure the educational needs of our community by providing manpower development services of superior qualities to the nation and to make us unique among other institutions. To provide opportunities for our staff and other stakeholders to achieve their goals. 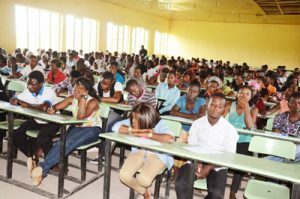 Osun State Polytechnic Iree‘s motto is excellence in character and technology. Our mandate is to produce middle-level manpower to drive the industrialization efforts of the nation in general and Osun State in particular. Our purpose is to rank among the best technological institutions in Africa in terms of technological innovation, ICT dexterity and entrepreneurial prowess. We seek to inculcate in our students the personality qualities and technical skills needed to make them successful professionals and employers of labour. In the last few years, we have sought to achieve these objectives by massively expanding our physical infrastructures and improving our human resources. Employees of the polytechnic have been sent for further training and experience in top universities throughout the world. Academic and non teaching staff members have participated in overseas conferences in large numbers. ICT facilities on campus are being comprehensively upgraded, while new regulations are being put in place to improve social mores without infringing on fundamental human rights. The result is that our products can now be found throughout Nigeria, and other parts of the world, competently manning positions of responsibility, contributing effectively to the social-economic growth of our universe. Of course we have not reached our harbour. But we are well on our way. In the fullness of time, we shall get there.